Field: The main field of activity for IGNITE LOGISTIC LLC is Road Transport of Freight and Goods Movement Services, NACE 494, main activity is Freight Transport, NACE 4941. IGNITE LOGISTIC LLC also undertakes transport related activities such as maintenance and repairing vehicles from its fleet. 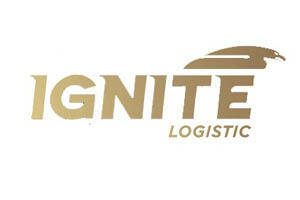 IGNITE LOGISTIC is a young company freshly appeared on the local and areal freight transport service providers market. Our company is based on an over 5 years experience in the transportation field, even though as it can be observed, it is relatively new registered at the Trade Register, it’s founding year is 2014. From the start we wanted to become a strong company among the local, national and even international leaders in the field of freight transport. IGNITE LOGISTICS Ignite began operations with a carrying capacity of small-scale, but the quality and seriousness in approaching the contractual commitments for our customers, have brought us the capital of trust which we commend for new collaborations.